It is hard to imagine a more idyllic setting than the tiny seaside village of Montecito. One of the nation's wealthiest communities, it communicates its grandeur with understated elegance and sublime sophistication. Montecito retains much of its original charm but with the niceties of a contemporary, stylish community. Just east of Santa Barbara, the area is nestled between the sea and the picturesque Santa Ynez Mountains. 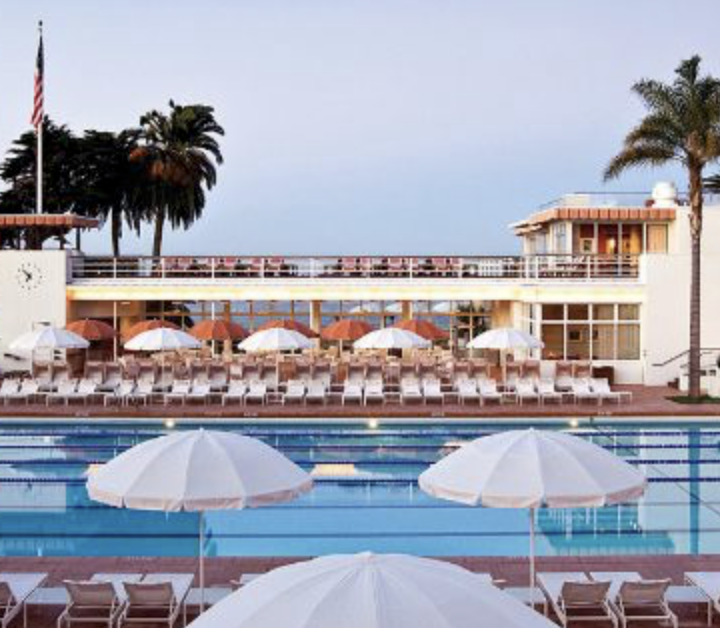 The Four Seasons Biltmore defines luxury living and service on the American Riviera. Located just steps from Butterfly Beach, with private bungalows and terraces that overlook the Pacific Ocean and Channel Islands, a stay at the Biltmore is hard to beat. In 1928, Charlie Chaplin along with a group of investors, built the Montecito Inn as an upscale getaway. Within walking distance of Santa Barbara's top beaches, boutique shopping and fine dining options on Coast Village Road, this historic destination does not disappoint. Take a stroll down Montecito’s Coast Village Road, home to an array of luxury boutiques and fine dining. Be sure to take a peek at Whiskey & Leather, K. Frank, Angel, and Ambiance. Need a snack or a drink after all the shopping? Stop by Cava for tapas and a cocktail. If you are a guest at the Four Seasons who is looking for a more refined beachside experience, stop by the Coral Casino Beach and Cabana Club. Here you can enjoy an oceanside dining, an olympic-sized pool, and a sauna. Just a short walk from Coast Village Road and steps away from the Four Seasons Biltmore, is the cinematic Butterfly Beach. Opt for a beach day to watch surfers, dolphins, and whales. Book a tour at Casa Del Herrero to experience Moorish-style gardens, antique furnishings, and the Spanish Colonial Revival architecture which Santa Barbara is known for. Oliver’s is a plant-based (vegan) restaurant in Montecito that prides itself on providing a healthful yet tasteful meal—their goal is to get as close to the original form of food as possible. Oliver’s is high end cuisine but not traditional fine dining—it is a beautiful and comfortable setting. The Monarch is a sophisticated yet minimalisitc dining experience conceptualized by Chef Phillip Frankland Lee and located in the Montecito Inn. The fresh, exquisite dishes are meant to be shared family-style, so everyone at the table can sample the variety of meats, vegetables, and sides the locale has to offer. Join them for brunch, dinner, appetizers or cocktails. Honor Bar on Coast Village Road in Montecito is an intimate space featuring American eats, cocktails and wine, in a trendy, lively space. Next door you can visit the Honor Market for coffee and espresso, exceptional products for the home, and top-notch artisanal take home pizza. Lucky’s is a classic American steakhouse perfect for brunch, a mid-week burger, or a special occasion dinner. With unsurpassed ingredients, well-crafted cocktails, and premium wines, this restaurant is at the top of our list. Need more than a weekend getaway in Montecito? Consider making our seaside oasis your home. 1155 Hill Road embodies the best of the beach. Near Butterfly Beach, the Four Seasons Biltmore and Coral Casino, the eagerly anticipated Rosewood Miramar resort, and shops and restaurants of Montecito’s lower village, this exclusive location offers a coveted lifestyle. Nestled just above Montecito’s lower village and Butterfly Beach, this historic home has recently emerged from an elaborate restoration and has all the modern spaces and amenities we crave today. Whether Montecito is your permanent post or your weekend retreat, 1167 Summit Road lets you take advantage of the best of our coastal climate and enviable lifestyle. Just steps to Montecito’s upper village, 860 Picacho Lane is an expertly crafted, ocean view estate with a floor plan designed for how we live today. 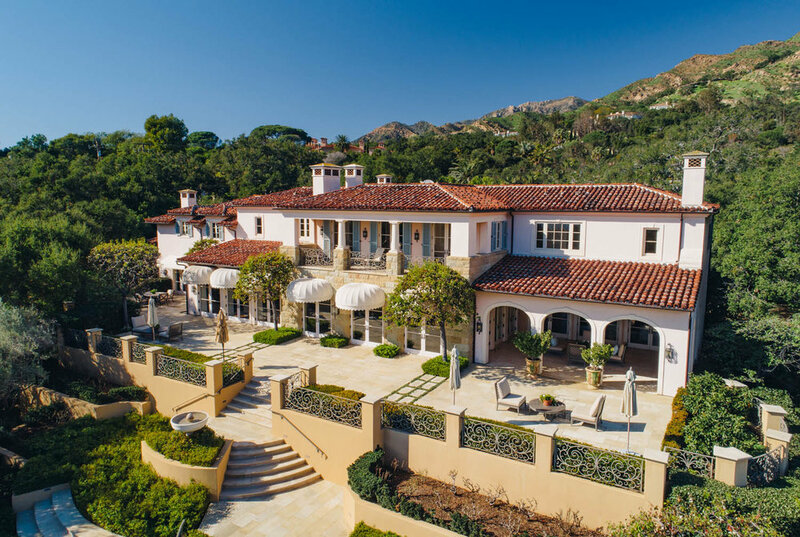 Boasting the central coast’s best address, this effortless estate defines the very essence of Montecito.